1 + 2. 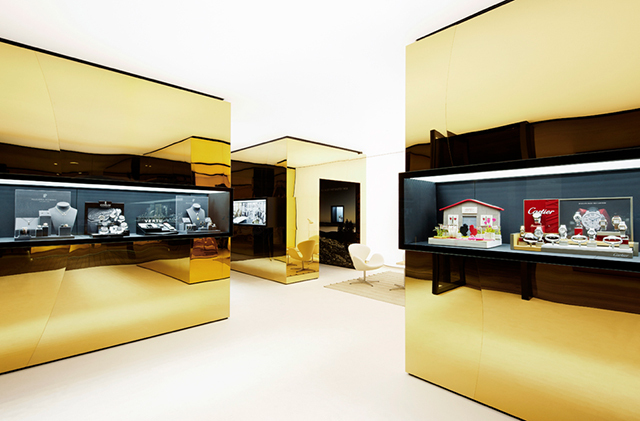 Seemingly floating Monopoly-like mirror houses designed by photographer and creative director Autumn De Wilde. 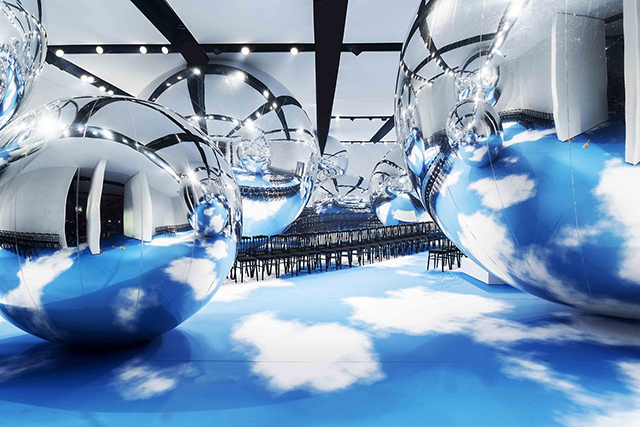 3 + 4. used spherical mirror globes to visually distort Christian Dior's runway at the Place Vauban, Paris. 5. 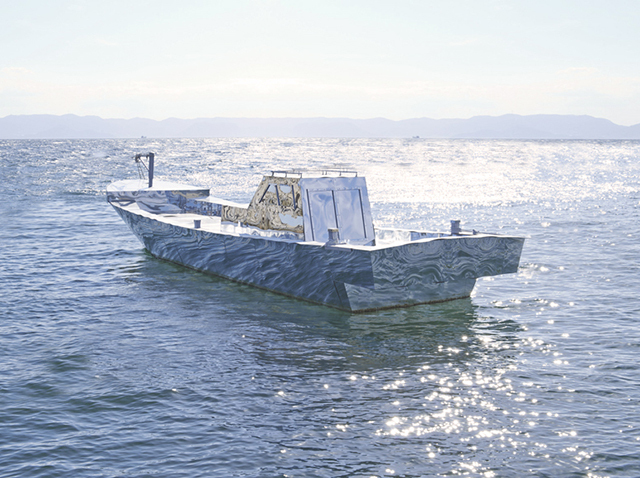 Artists Hiromi Tango and Craig Walsh's mirrored fishing boat, Traces: Blue, is nearly invisible to the eye. 6. Madrid-based architecture studio OHLAB created five eye-catching gold boxes inside Port Adriano’s new jewelry boutique, Relojeria Alemana. 8. 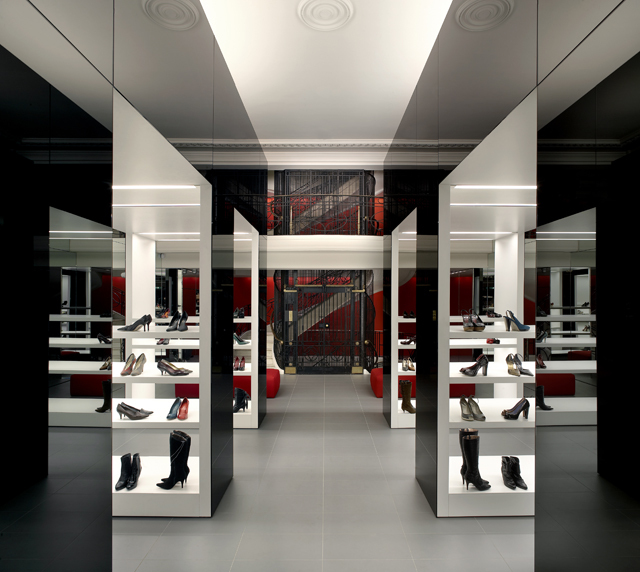 Found Associates employed black mirrors to add visual depth and dimension to a symmetrical space. The shoes on display at this Kurt Geiger boutique multiply in record numbers, showcased on mirrored tables and cantilevered glass pedestals, behind back lit Kurt Geiger artwork. 9. 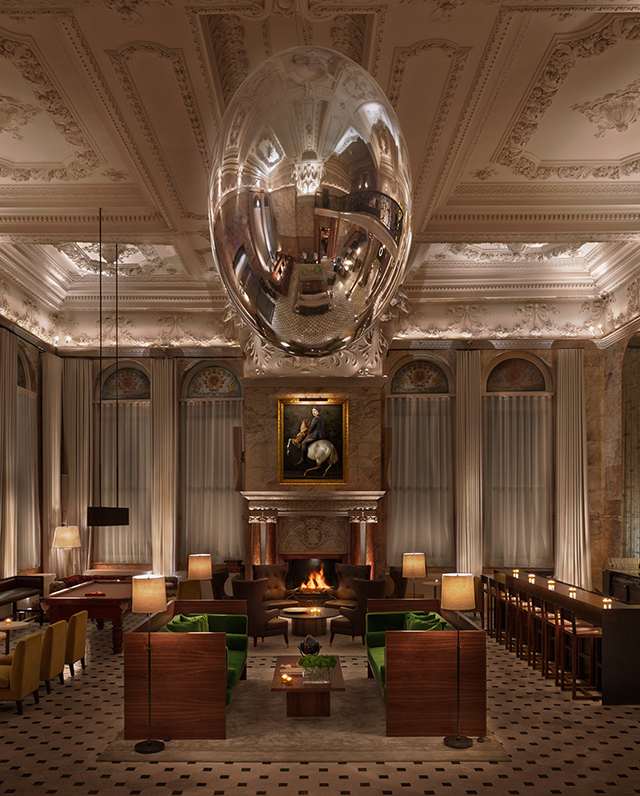 The massive mirror globe overlooking the lobby of London's new EDITION Hotel allows patrons to be more discrete when "scoping the talent", thanks to Ian Schrager and design studio Yabu Pushelberg. 10. 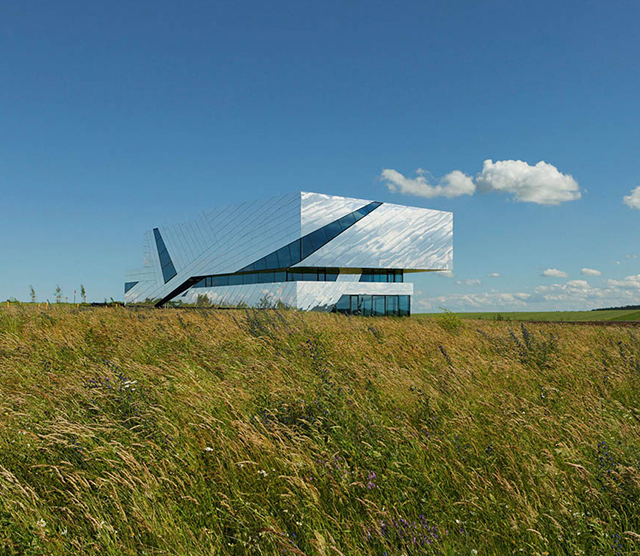 Holzer Kobler Architekturen designed the outer skin of the new Paläon Research and Experience Center to act as a giant mirror that reflects the surrounding landscape and thus becomes one with the surroundings. Ultimately, the precisely crafted volume is covered with a reflective surface that becomes a mirror of the landscape. 11. In this piece entitled Fear Expanded, by artists Ryan Everson and Jason Garcia, the idea of fear seems to vanish into a soothing and peaceful landscape. The pair decided to work on the project together, with Everson building the letters and then handing them off to Garcia to further develop them based on his own personal vision. 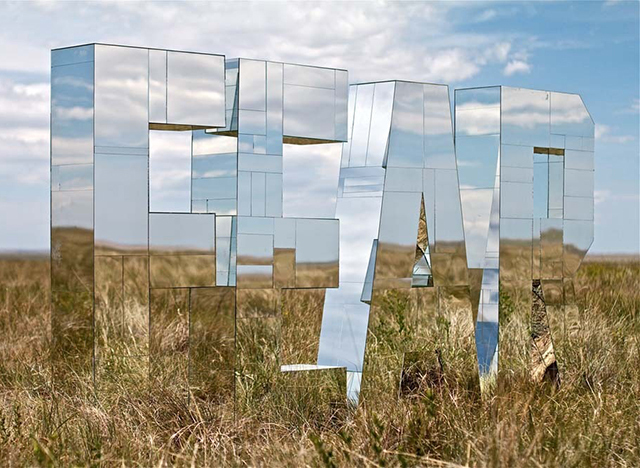 The final results are these four large wooden letters covered in variously-sized pieces of mirror.